I think it could be argued that giving presents to dogs is infinitely more rewarding than giving them to humans (well – adult humans anyway). How many times have you given a gift to a friend, only to get a cool “thanks so much” and that’s it? 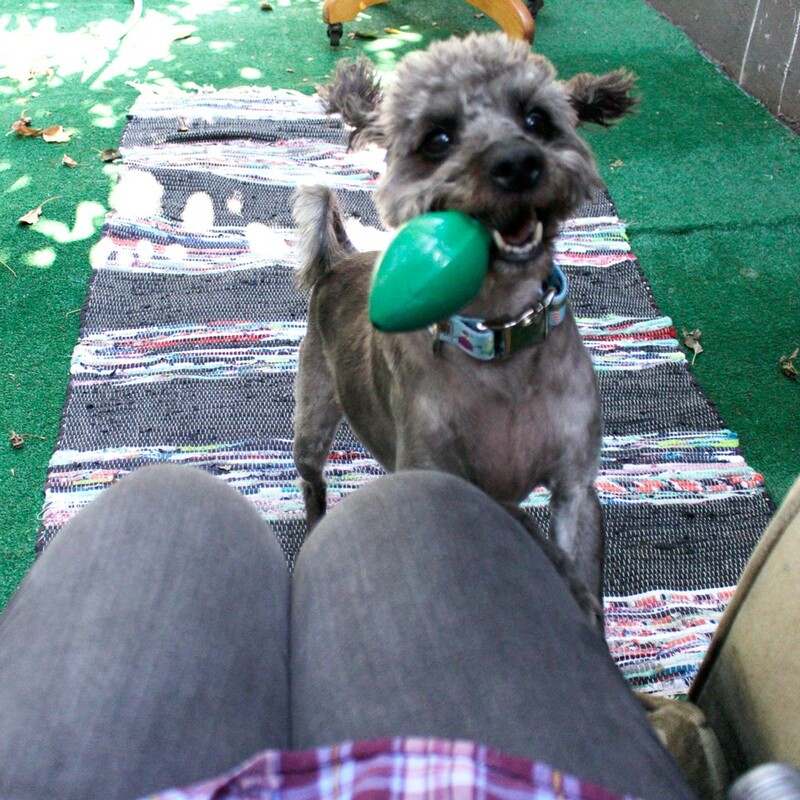 When you give a toy or a treat to a dog, he will LET YOU KNOW how excited and thankful he is! It’s a nice feeling isn’t it? 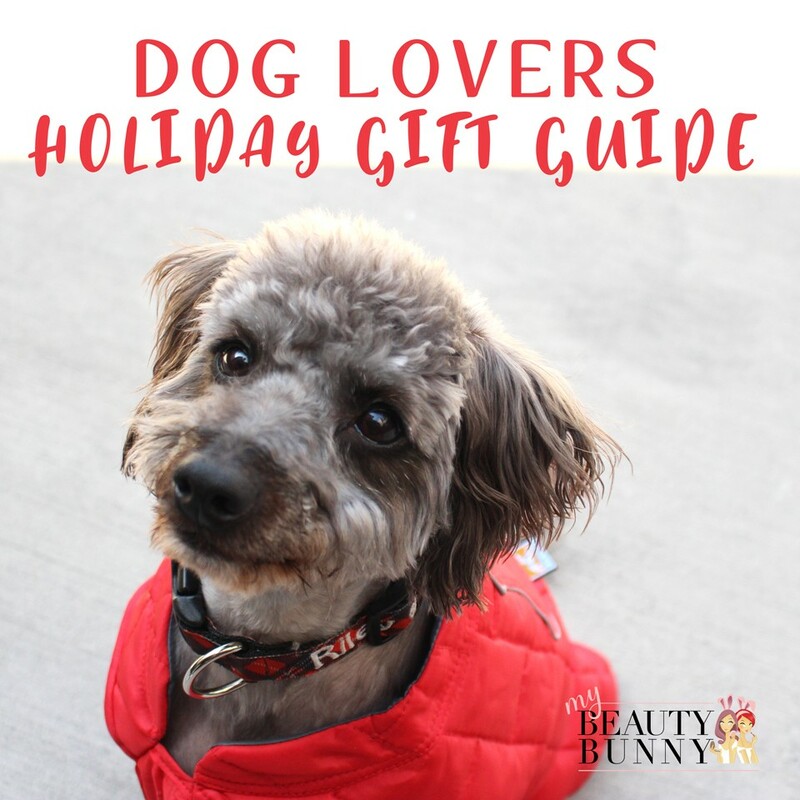 Here is my Dog Lovers Holiday Gift Guide – filled with gift ideas to buy for your own dogs or to give as gifts to other pet lovers in your life. 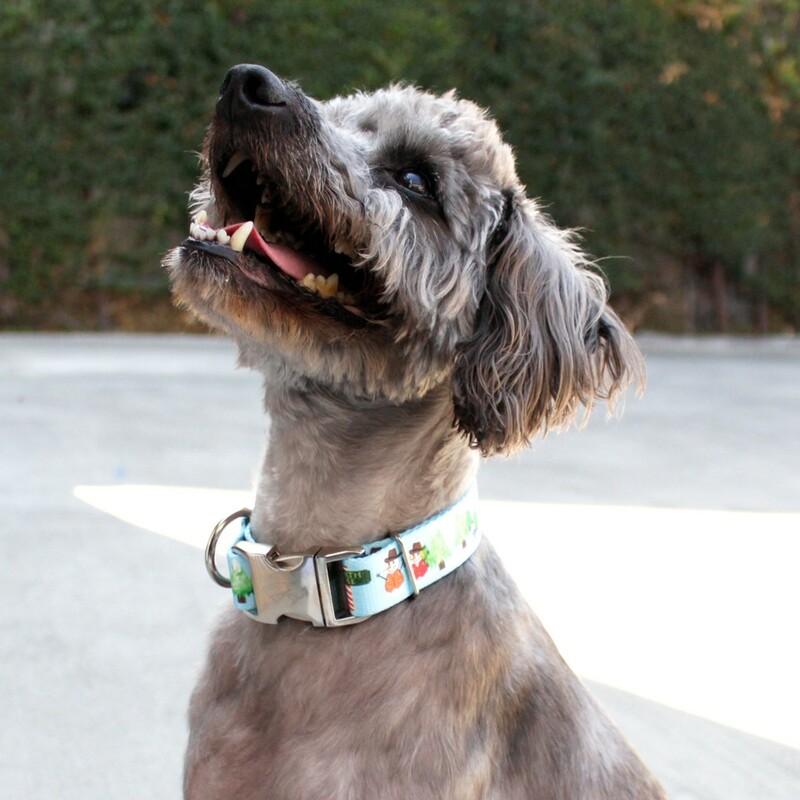 I had a very sweet dog model for this gift guide – my pooch, Riley! I’m pretty sure this photoshoot was one of his best days ever – he got tons of treats, toys, and lots of running around outdoors and attention from mom and dad! Orbee Tuff Dog Toys – these holiday themed dog toys from Planet Dog are just too cute! 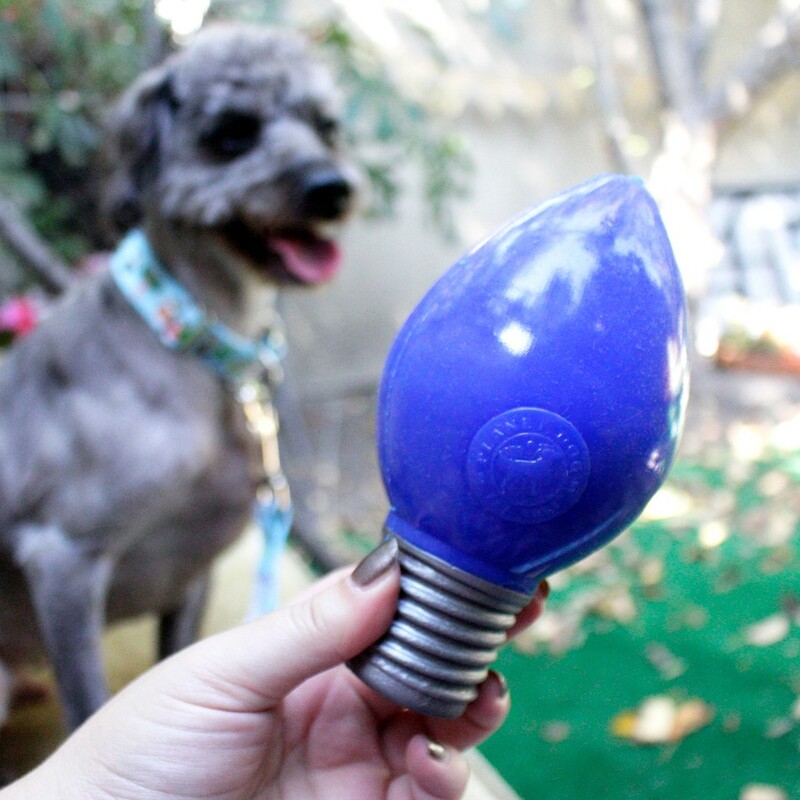 Riley LOVED running playing fetch with the green Christmas “Lil Bulb” light bulb, blue Hanukkah light bulb dog toy, and the giant peppermint patty! These are all great for chasing and chewing, but the bulbs also have a place inside for treats to keep your dog busy. They are all very durable – even for Riley, whose main job in life is to tear stuff up! 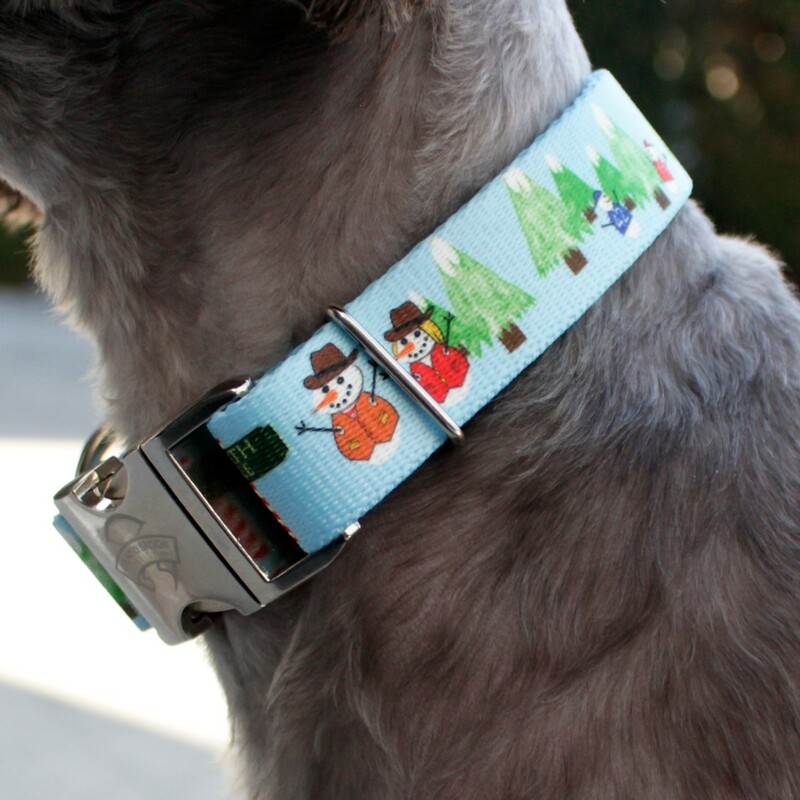 CB Petz Snowman Collar and Leash – This snowman dog collar and leash set by Country Brook Petz is perfect for the entire holiday season. 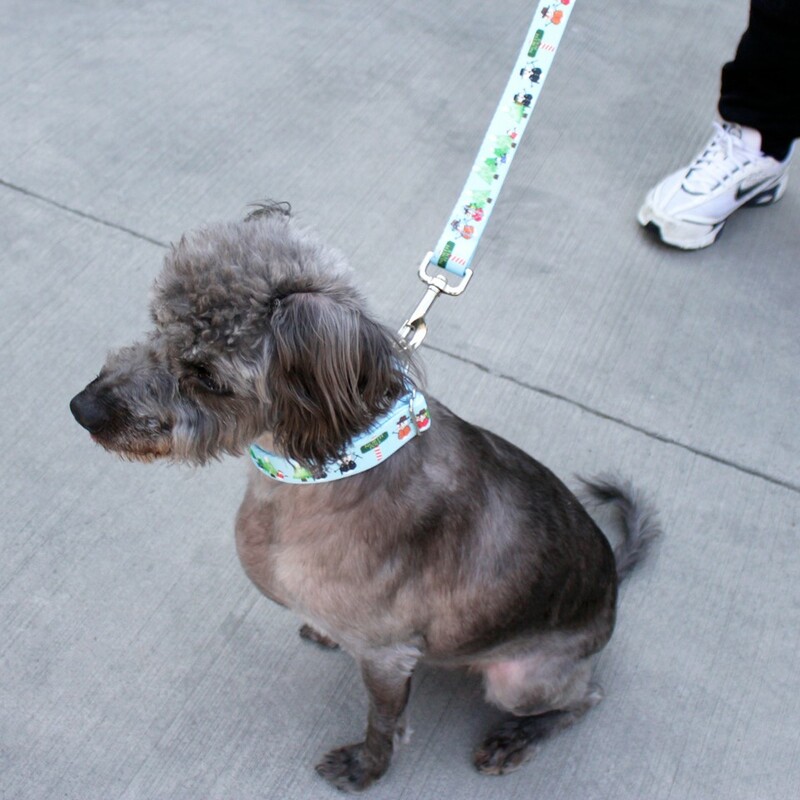 Give your dog a festive look for holiday parties, and for out on the town! It’s made in the USA and very sturdy. You’ll be able to use it year after year. There’s also a lighter weight version and a cat version! 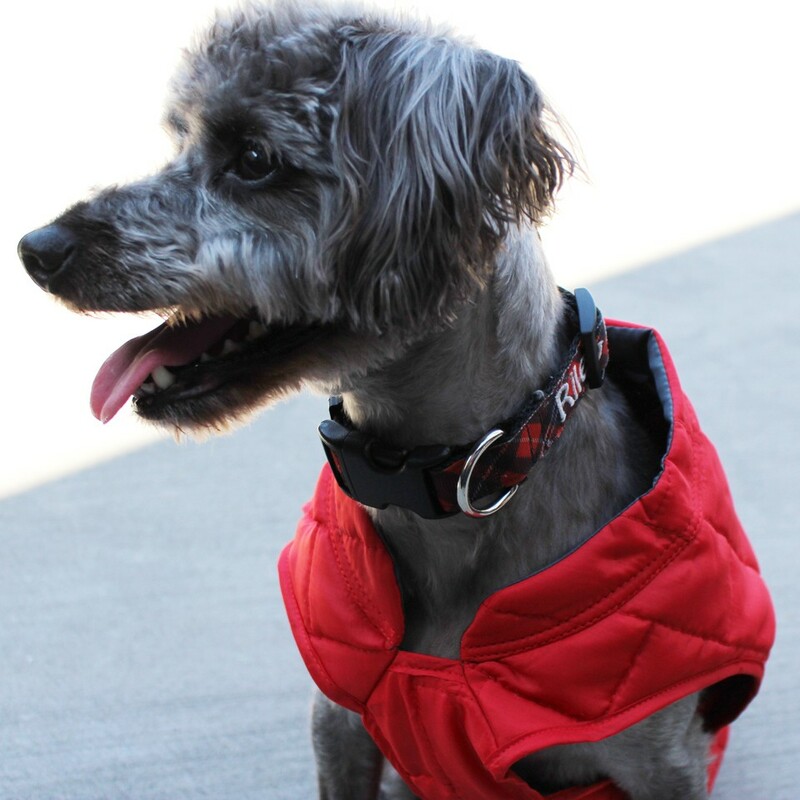 Kurgo Loft Dog Coat – we don’t really get snow or freezing weather here in Los Angeles, but for those of you who do, the Kurgo Loft Dog Coat is warm, comfy, water-resistant, machine washable and adorable! It comes in every size from tiny chihuahua to large lab! The sample I received for Riley was much too big for him, but you can get an idea of how it would look if it were sized properly. I can tell that it’s very high quality, and the velcro makes it super easy to put on. 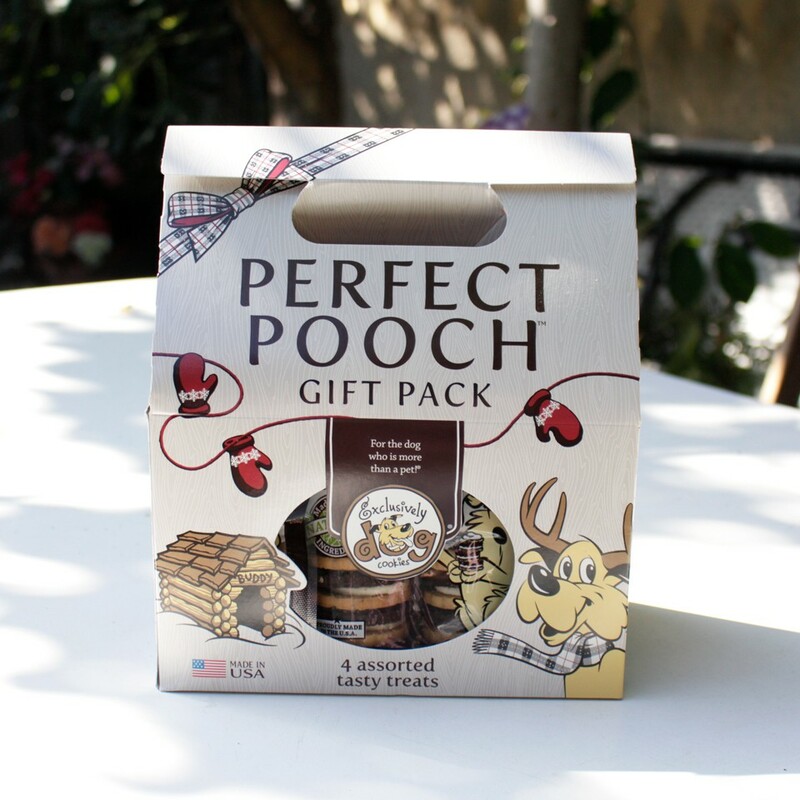 Perfect Pooch Gift Pack Treats by Exclusively Pets – what dog doesn’t want treats for the holidays? 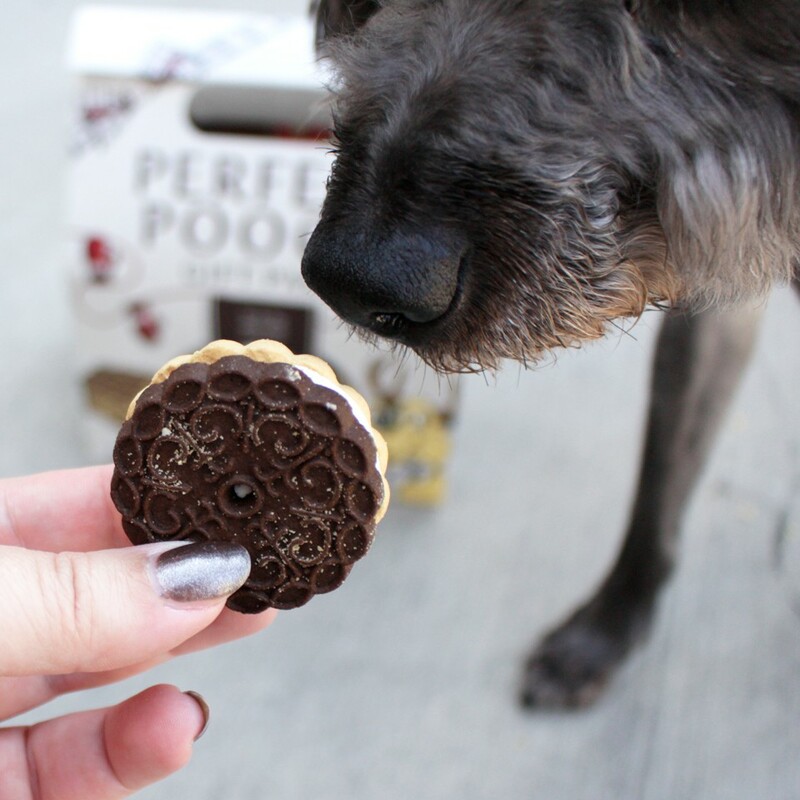 This dog treat gift pack is an EPIC treasure trove full of various flavors and types of cookies to please even the most finicky dog. 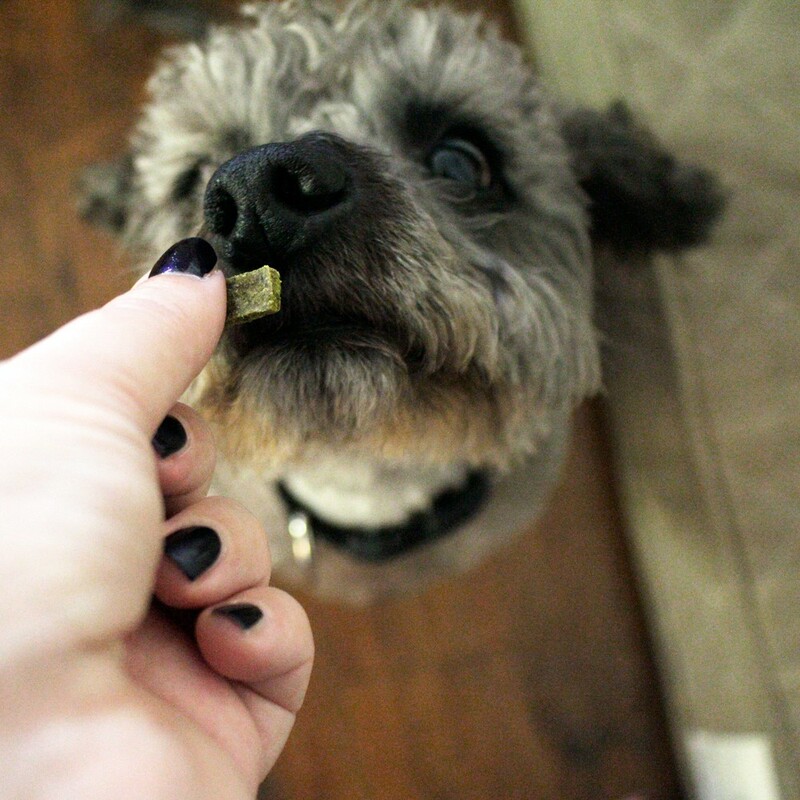 These are all vegetarian (all vegan except for the cheese flavored treats), and Riley was VERY happy to be my little model for these shots! 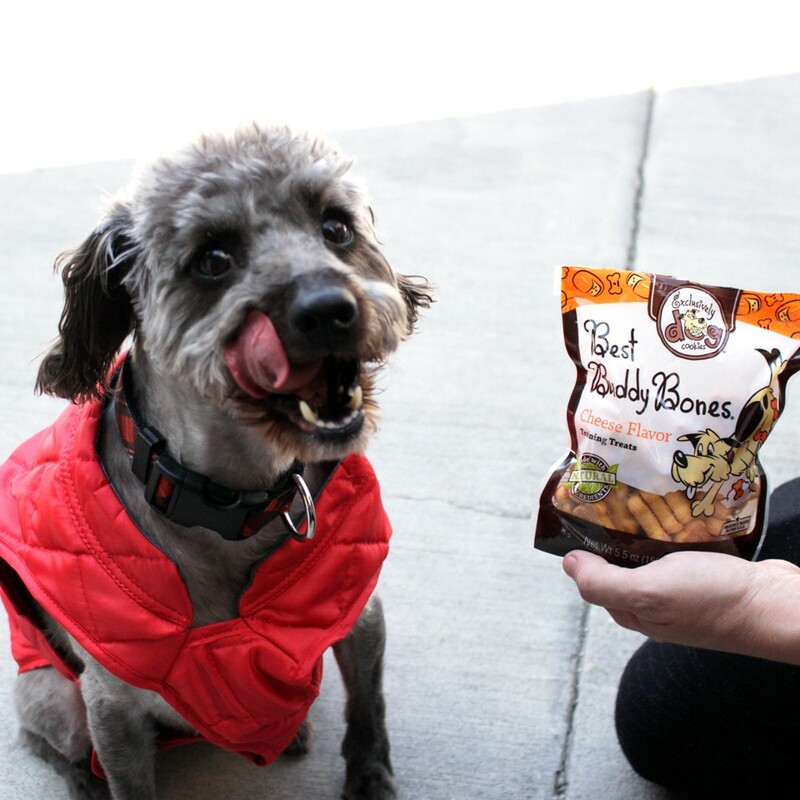 His favorites were the Best Buddy Bones Cheese flavor followed by the Sandwich Cremes – Carob and Vanilla flavor. My fiancé and I had to try really hard to not eat these ourselves! These treats have no artificial colors or flavors, are made in the USA and are kosher! 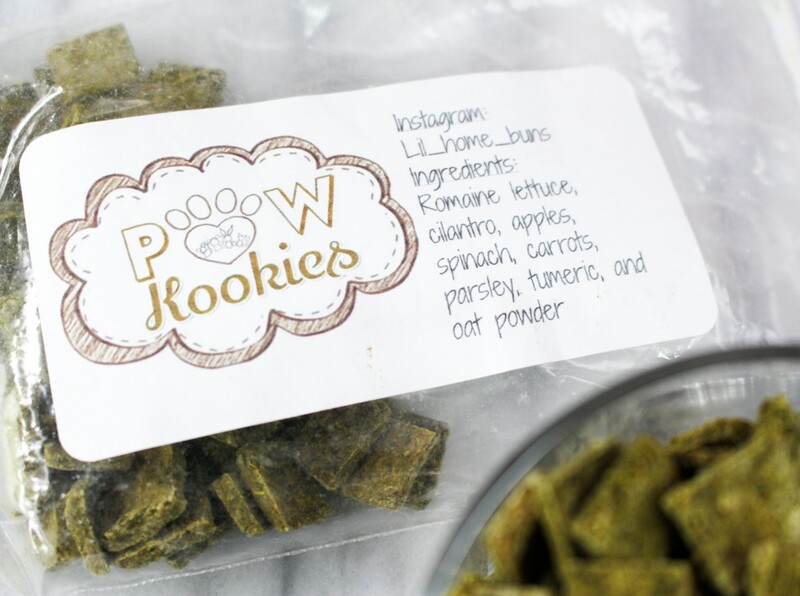 Speaking of treats – these Paw Kookies from the Mother of All Bunnies, Lillian (AKA @Lil_Home_Buns on Instagram), are a super healthy treat that you can give your dogs or your little fuzzy pets (bunnies, hamsters, guinea pigs, etc). They are made with vegan ingredients that sound like they’d make a great fresh pressed juice for humans: romaine lettuce, cilantro, apples, spinach, turmeric, carrots, parsley and oat powder. 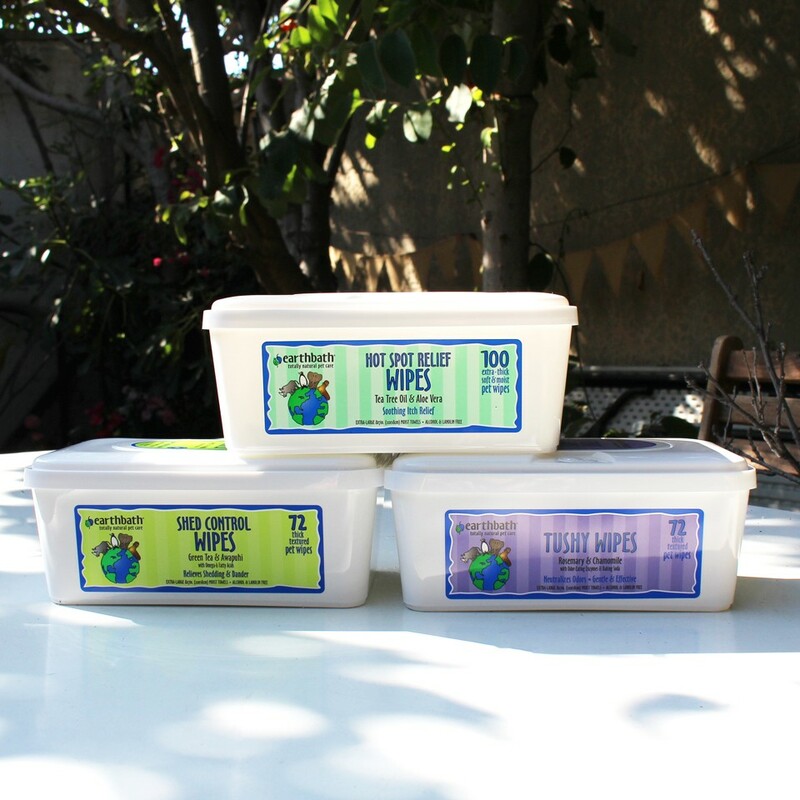 This is the kind of homemade goodness you’d find at your local farmer’s market – but just for your four legged babies! You can get 4.5 oz for $7.50 (plus S&H) – click here to shop. Lillian is a bunny-rescuer, and friend to the animals. A portion of all sales goes to rabbit rescue organizations. 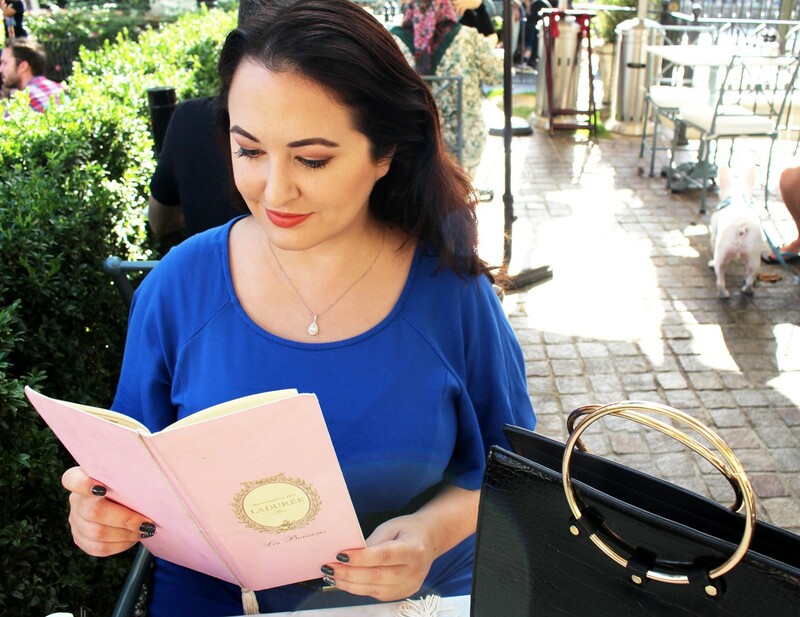 Support women-owned small businesses this season! Tell her Jen from My Beauty Bunny sent you. 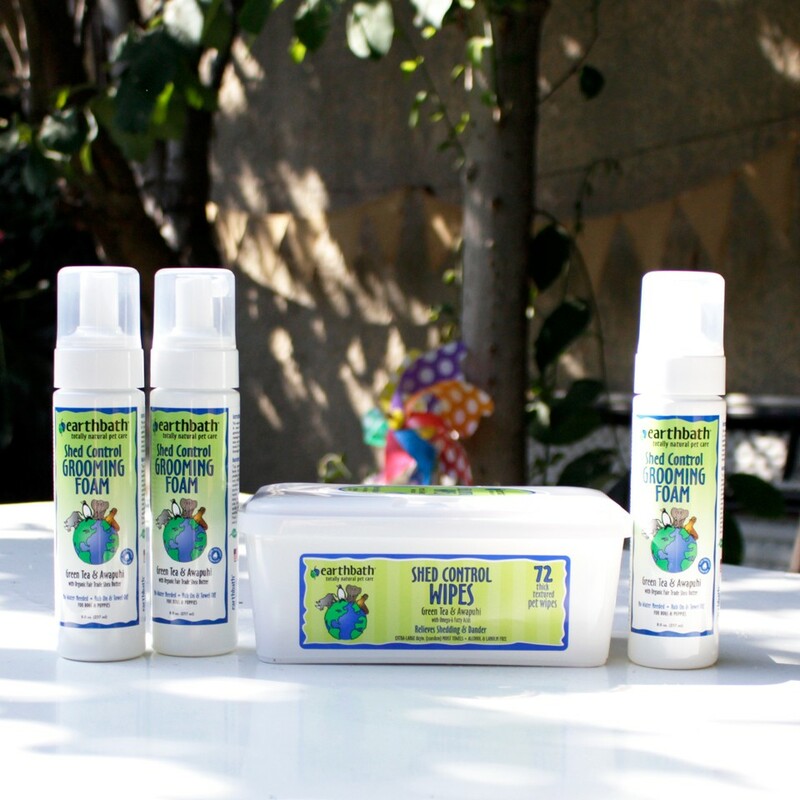 Earthbath Cruelty Free Dog Grooming Products – I have tried a lot of dog products, but I always come back to Earthbath. You may be surprised to learn that not all pet grooming products are cruelty free! Shocking but true. Earthbath is not only cruelty free, but also made with natural ingredients that don’t irritate sensitive skin. We use the Hot Spot Relief Shampoo (with tea tree oil) and Fragrance Free Oatmeal & Aloe Conditioner on Riley when his skin is especially irritated (he has a lot of dietary allergies). But the scented products never bother him, and they smell amazing, so we use those a lot too. 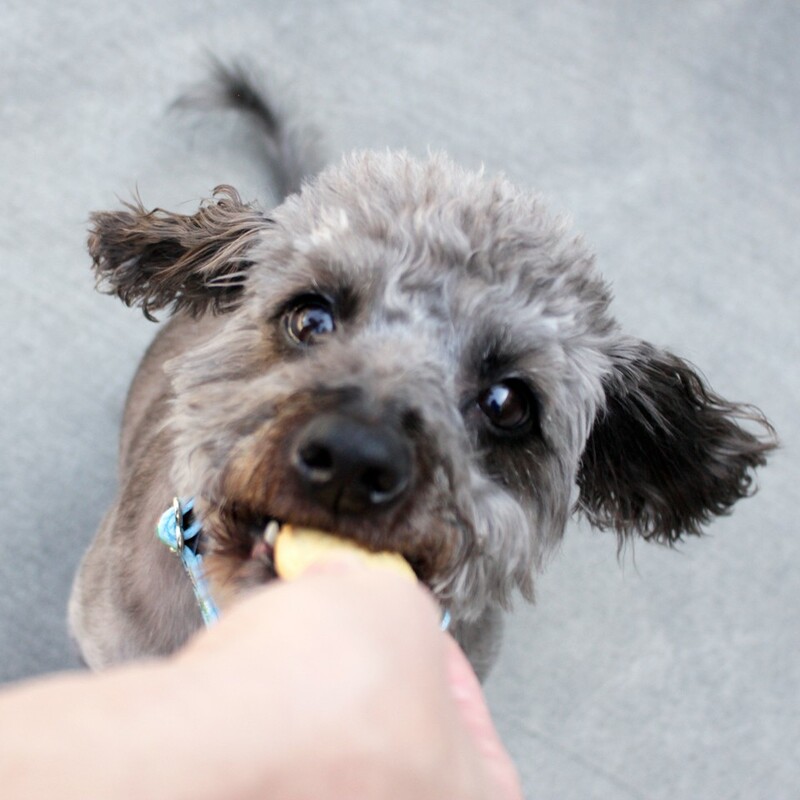 The dog wipes are super handy – we keep those around for dirty paws and quick in-between bath wipe-downs. We also use the cat wipes for our two cats. You can find these online or at retailers like Chewy or Petco. 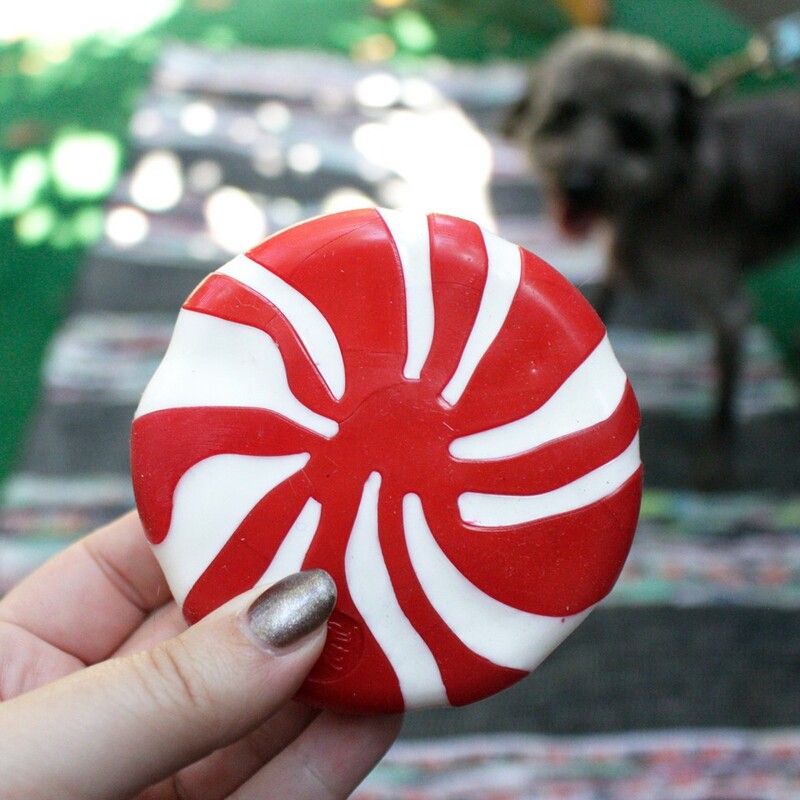 Thanks for reading my dog lover’s holiday gift guide! Riley has really enjoyed being your model! If you liked this gift guide, please share on Pinterest, Twitter or Facebook. You can click via the share buttons below (or hover over the pics to share on Pinterest). Your shares mean so much to us! Are you more of a cat person? Check out Phyrra’s Holiday Gift Guide for Cat Lovers! 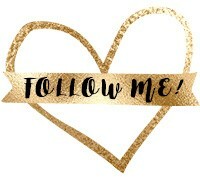 What a cute idea this post is, and your pup is so sweet! 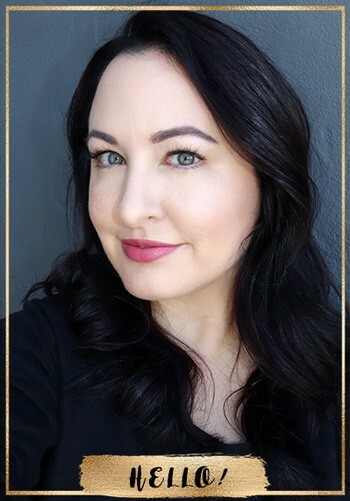 Love this post, Jen! 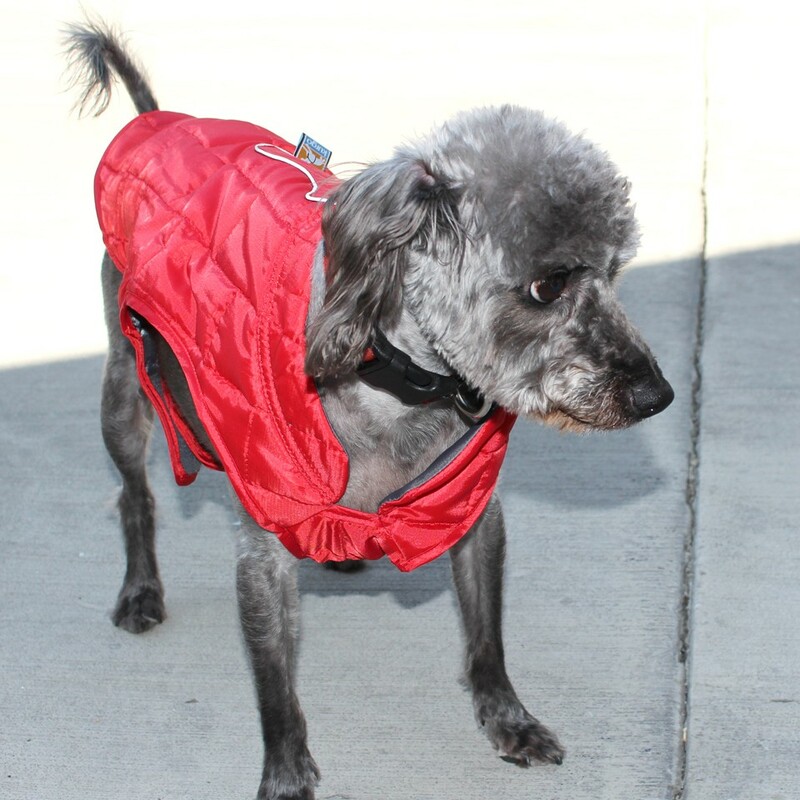 I really need that coat for Addy for when I take her to the dog park & for walks this winter. 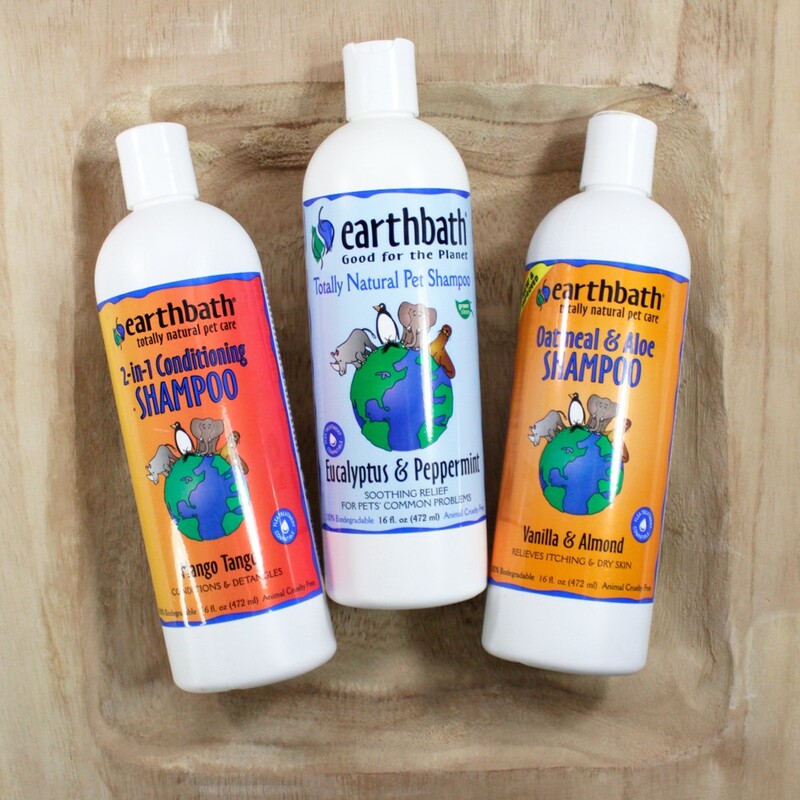 I love EarthBath products too! Those toys are great too–Addy loves toys that hide things and it keeps her busy. These are super cute doggy gift ideas! Your pup is so sweet! I am so glad to learn about the hot spot wipes since we have a big problem with that. I’m going to show my DH so we can help this problem. Riley is so adorable and such a lucky guy with all these great products. Yes!!!! I need to keep by fur babies beautiful too! Love it! Thanks! OMG your pooch is the CUTEST! I love that Christmas bulb pic! This is such a great list and your dog is the cutest! I like the snowman collar and leash the best. I love that collar and jacket 😀 Our Ikaika always enjoys his presents each year and rewrapping a few of this favorites, I swear he gets so excited. lol Especially with his toys.